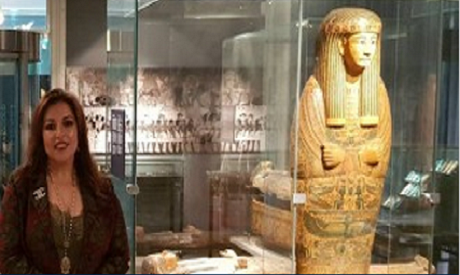 Egyptian Ambassador in Norway Mahy Hassan Abdel-Latif inaugurated an exhibition of ancient Egyptian antiquities and paintings entitled "Images of Egypt" at the Norwegian Museum of Cultural History in Oslo. The three-month exhibition showcases Egyptian artefacts from across the world's largest museums including London's Victoria and Albert Museum, Paris's Musée d'Orsay and the US Metropolitan Museum of Art, alongside two original copies of the book "Description de l'Égypte." Over 300 people attended the opening ceremony including ambassadors, members of the diplomatic corps, representatives from Norway's Ministry of Foreign Affairs, and individuals from the Egyptian community in Norway.